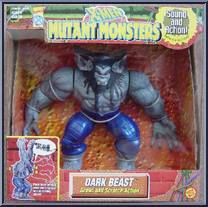 (Growl and Scratch Action) In a parallel world where Charles Xavier never formed the X-Men, Hank McCoy became a dark and twisted version of the mutant hero, Beast! 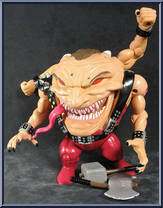 As a ruthless genetic scientist, t. . .
(Wicked Laugh and Big Bad Bite) Once a mutant slave lord on a dark parallel world, the Sugar Man escaped to our universe when his own was destroyed! Acting secretly during the years since his arriva. 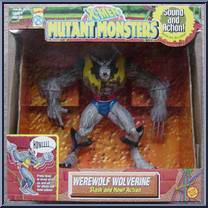 . .
(Slash and Howl Action) Hiking in the European mountains of his youth, Nightcrawler, along with Wolverine are attacked by a giant wolf! Injured during the battle, Wolverine soon begins to change int. . .